Most people want their home to stand out and look unique, and many do this by customizing the shape of their windows. There are many different styles to choose from when you decide to replace a window frame to something trendier. They come in many different shapes and sizes, all offering the same great light control and privacy. Special sizes and shapes bring an added burst of personality to your home. Modern day windows can be customized to meet the uniqueness of your home’s interior and exterior. Arches – This looks great in any home, whether its half or quarter circle and they can be dressed up to suit any décor. Angles – You can have your windows in angles, however, get a professional to help you with geometry and getting the style correct. Trapezoids – These windows contain only one pair of parallel sides which are usually at the top and bottom. 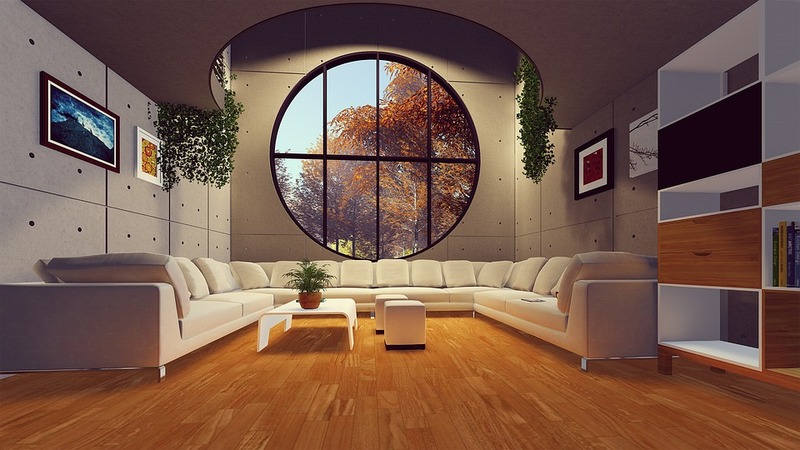 Circles/Ovals – Circle and/or Oval windows add a great look to any home. They are contemporary and can be draped beautifully. Bay and Corner windows – This window must be done by a professional in order to get it looking great. Awning window – These windows have hinges at the top that allow them to tilt open for ventilation. Usually they are found in huge buildings, at the very top. This style of window can be left open even in the rain. Cathedral shape – Popular in old Catholic churches but recently used in homes as well. Cathedral with extended legs – They are like the Cathedral shape but has extended vertical sides. Ellipse – This shape contains two radii. This type should be in a place in your home that allows the most sunlight to enter as it is a rather small window. Eyebrow – This is similar to the ellipse shape but slightly bigger. Eyebrow with extended legs – As the same says, it is the eyebrow window with extended vertical sides. Windows can be in any shape or size and anywhere in your home. It is important to identify the look that you may want to achieve beforehand. Windows can add a unique feel to your home however they must be done correctly. Before settling on a design that you like, shop around and get ideas that appeal to you and your family. You may also want to consider getting an energy efficient glass so the amount of heat/cold that enters and leaves your home is limited. This is especially useful if you plan on going with larger window designs. In the end, windows can be a little reflection of your tastes, whether contemporary, timeless, old school or fun.